I have a fun and creative craft for you today. 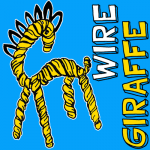 In this post I’m going to show you how to make a Wire Giraffe using a wire hanger and some crepe paper. This craft is a great way to use those wire hangers that you have, but no longer use to hang up your clothes. 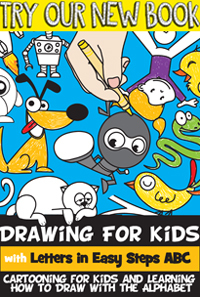 You will need a little bit of adult supervision for cutting the wire so make sure to have an adult around during this craft. So, grab the materials needed and let’s get started. I have a great craft for you to make today. It’s not only easy and fun…. but it is so useful too. In this post I’m going to show you how to make a Wire Hanger Book Holder. 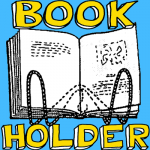 Book Holders are perfect for people who want to do something with their hands and yet read a book at the same time. Like, for example, a cook book. You can read the recipe while your hands are cooking the meal. So, maybe you would like to make this craft to give as a gift…. or perhaps you want it for yourself. Either way…. let’s get on with the craft. Today I’m going to show you a great craft that you can make from an old wire hanger. That’s right…. I’m going to show you how to make a Mail Holder from an Old Wire Hanger. This mail holder can be given to your parents so that they have a place to hold onto their bills, or save it for yourself to hang on your door so that you can receive notes from your siblings or parents. Either way this Mail Holder is sure to be enjoyed. So, let’s get started. This is a really cool idea for a Valentines Day gift to your friends. 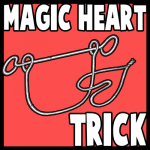 This is a Wire Heart and Horseshoe Puzzle Trick … your friend or loved one will need to try to figure out how to get the heart off of the horseshoe. It is a LOT of fun. 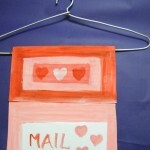 Since Valentine’s Day is coming up soon, how about learning how to make this Greeting Cards Display Craft. 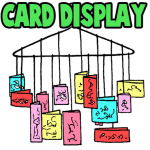 You can hang it on a picture hook, or hang it from other high places. Then you can look at the love that people sent to you in Valentine’s Day cards, Christmas cards, Birthday cards, or whatever. 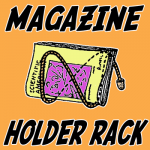 This is an arts and crafts project that uses a cork and a wire coat hanger to make a great rack to hold magazines and newspapers. If your Dad reads a lot of periodicals (newspapers and magazines), then this might be the perfect craft to make for your Dad.